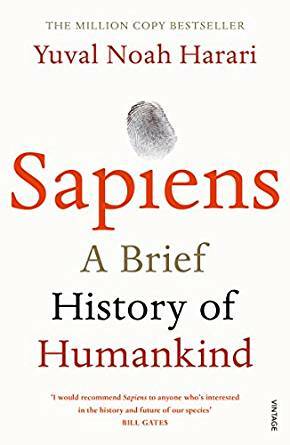 Every now and again you need to pick up a book that helps change your perspective on life and respect just how short a time mankind has been on Earth, Sapiens: A Brief History of Humankind is just that. The book is a book by the great historian Yuval Noah Harari that was first published in Hebrew in Israel in 2011 before being published in English in 2014. Harari studied his doctorate at Oxford University so I’m sure nothing was lost in translation, with the book exploring the meaning of mankind and our history from the Stone Age all the way to the present day. Of course with such a broad span of time the book is multidisciplinary covering areas of palaeontology, anthropology, sociology, economics and politics. As you may have guessed by the title, the book focuses mainly on our own species, Homo sapiens. There a number of key areas that the book explores in some detail with these being the Cognitive Revolution, the Agricultural Revolution and the Scientific Revolution. With these revolutions, our species was able to flexibly work together better and better – slowly taking over the world. This involved the extermination of other human species that we co-existed with such as the Neanderthals. Along with this capacity to think and cooperate came such by products as religion, society and global markets. There are a number of points raised throughout the book that really got me thinking, I won’t spoil what they are by telling you, but I urge you to have a read when you can (or alternatively listen to the audiobook). For almost 4.5 billion years the planet existed without us, since our arrival we’ve inadvertently changed the environment and caused huge amounts of destruction. Sapiens helps to put everything in perspective and speculates where our species may go in the future. I’m certainly looking forward to moving onto Harari’s follow-up book Homo deus in the near future!